This is a completely amazing issue of What if that amps up the X-Men in Asgard story into the Marvel’s Lord of the Rings. If you haven’t picked it up, it is well worth picking up, especially if you’re a fan of this issue. Spoiler: SAM MARRIES THE DWARF PRINCESS! Who do we petition to include Earth-904 in Secret Wars? Look, I love 904, but if it comes down to it, my loyalty lies with 200500. Isn’t the whole point of Secret Wars not having to choose? Nightcrawler dressed like D’artagan and grinning like a vicious loon alongside Volstagg and Hogun is the best Goddamn thing. Everybody in that epilogue gets a fun ending but Kurt is the one who you get the feeling would actively prefer that over his actual future, or indeed any other possible thing that could ever happen. As far as I’m concerned, there are two moments in Marvel Comics that stand above all others. First is in Spider-Man/Human Torch #3, when Spider-Man thwarts the Super-Apes who stole his car by throwing Hostess Fruit Pies at them. I love every word in that sentence and put together it is magical. Second is an answer that is always the same. He stood alone at Gjallerbru… and that is enough. I cry literally every time I read the climax of Thor #362. YES, with the caveat that your list needs more X-Men #137. In seriousness, Jean sacrificing herself and Spider-Man lifting very heavy machinery rank right there with Skurge for me as the moments that make me read Marvel in general, and specifically make me go back and read stuff from before I actually read comics (and/or was alive, depending). They’re just SO GOOD. And of those three, two are happy and two make me cry like a baby that just stubbed a toe. Skurge is, weirdly, the center of that Venn diagram. In levity, NOTHING will ever top Johnny Storm pointing out that the orangutan can parallel park while Spidey can’t. No puppy can bring me the kind of joy SM/HT #3 can. Not even if that puppy was made of hundred dollar bills. I should sleep before I comment more. Great Episode. I tend to get the people I can into reading comics by very much the same way, just explaining to them why I love these stories and why they can’t be done in any other medium. That or I have in the past built entire care packages on how to catch up on runs of comics before. I’ll try and rein myself in from blabbing on and on excitedly and incessantly about the fantastic issues discussed in this episode, and attempt to limit myself to a few questions and comments. 1) I always found the casual borderline racist Asgardian remarks with regards to Bobby and Ororo (“Ten on the shadow-skin!”, “Doesn’t he wash? Is he diseased?”, “‘Tis a common enough color…on Midgard”, and on and on) more troubling than the body politics with Xi’an. 2) While I’m talking about Bobby, is there any explanation why his powers are seemingly supercharged in Asgard? Is there a canonical explanation for this, or did it just serve the story? Anyone know? 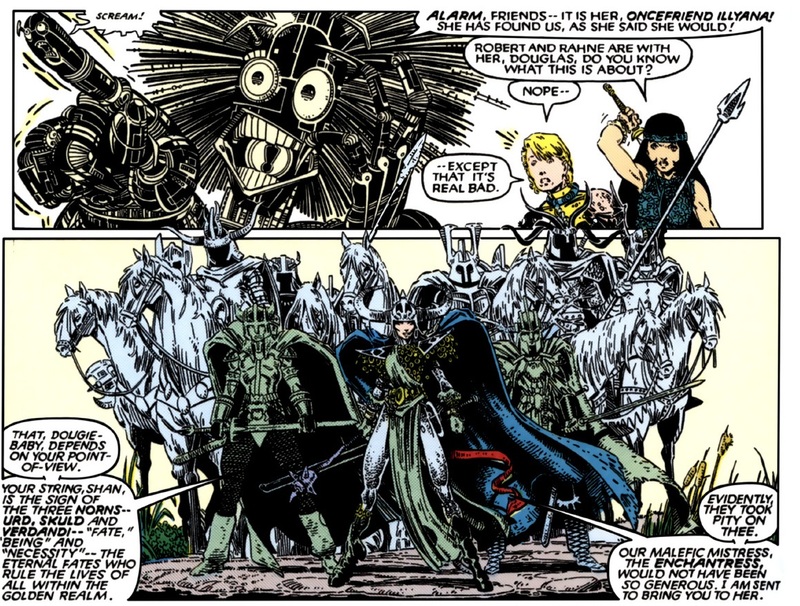 3) While I chuckle at Warlock’s human disguise wearing Illyana’s bikini after their chat about norms and blending in, I have to say that Illyana being in the skimpy bikini for the entire special edition makes me uncomfortable. It did then and it does today when I re-read it. Especially when the bloodied and battered Illyana is discovered by Xi’an near the end. That scene always kind of filled me with revulsion. 4) The look on Sam’s face after Eitri slaps him on the back cracks me up EVERY. SINGLE. TIME. 5) This takes place after Uncanny 199, right? Which explains why Cyclops is there? By the way, welcome back to leading the X-Men, Cyclops! “Wolverine, hold off — we don’t know — oh, BLAZES!” SNIKT! SPOW! WAK! ZARK! RZAM! Fantastic!!! 6) Hela and Rachel…I know you mentioned the exchange, but damn. “Glad I am to know thee, child of light and darkness. Mayest thou be all thy mother was…and more!” Chills. 8) I can’t remember any kind of recent or modern story where Wolverine seemed as vulnerable as he does in this story. A dragon bite and lightning bolts and it seemed like he was almost done. How refreshing — as opposed to him walking on the sun or whatever else he’s recovered from since. 9) That Warlock seems to turn into puddles when he’s hurt is always heartbreaking. 10) I know Ororo and Wolverine eventually hooked up before he died, but when did this happen? 11) More awesome comic medium dichotomy between Loki’s spoken outrage at the end of Annual #9 vs. his yearning thoughts of Ororo. Go comics! 12) Crap, 11 items already? So much for reining myself in. Thanks for a superlative episode!!! Congrats, you two! I may have a new favorite episode EVER of this show!!!!!! SOOOOOOOOOOOOO good! Stellar one this week, you two! You’re the best! I think the word “problematic” is problematic. Seriously, though, while of course these comics spread the idea that there’s only one kind of attractive body type, I don’t think this is a case of shaming someone for looking a certain way. Her body was abused and treated (deliberately) in an unhealthy way, meaning that she’s at a weight that is unhealthy for her. It seems to me like it’s not the same thing as making fun of a person who is built unconventionally, any more than telling people to eat healthy is shaming people for the results of unhealthy eating. It’s a narrative mechanism that reinforces real and dangerous social biases, even if that’s not its goal. Everything you say is true in the contained context of the story, absolutely–but stories don’t exist in a contextual vacuum, and the ways they directly and indirectly reinforce social biases and values matter. Also, I can’t believe that neither of you mentioned Warlock’s screaming finger! A Jem reference on Rachel & Miles, my day is now complete. Now if I could only get a podcast that explains Jem as well as this one explains the X-men. I came up with a second crew for your team to come across in the middle of a job. Callisto’s a hitter or a mastermind, not a thief; but I like the rest! Very Dark X-Men. I picked her because I thought her powers would allow her to most easily bypass security measures, she’d be able to hear the tumblers in the safe, be able to avoid security well. And she’s used to trying to avoid being seen and living in the sewers, she’s used to getting around in tight spaces. But most of the theif skill set–at least in a Leverage paradigm–is a combination of super delicate work and encyclopedic knowledge of electronic security systems; way outside Callisto’s bailiwick. I can’t believe it took me this long to come up with this but here we are. You are joking, right? I mean, I don’t actually have to dismantle this? Yes, I’m joking. A bad joke to be sure, but it made me chuckle. I thought it was pretty great! I don’t remember many more stories from this era of the Xmen until the mutant massacre. I guess it might be close. I’ve always seen #201 as when Claremont’s X-men jumped the shark. But wow, are these issues a glorious last hoorah before that! I felt old when I heard you didn’t catch the Ed Grimly reference. I think he had a 5 second burst on the SNL anniversary special the other week. This was the first episode I listened to and when I heard your love for and explanation of it I knew I would enjoy your podcasts. Also, as chance would have it, I had finished re-reading the Simonson Thor run again about 2 weeks before I was told of your work. You two are the best! I have a quetion I’d like to hear you tackle on the podcast. Kitty Pryde has had many many BFFships throughout her tenure with the X-Men, most notably Illyana, Rachel and Doug, BUT these were always isolated. Kitty’s friends never ever got to really hang out with each other and interact. They also each had the tendency to, well, die horribly (and eventually come back to life, because X-Men). The weird part: Kitty was never relaly shown to really react to any of their deaths, and she very rarely got to reunite with any of them after their resurrections, with the sole exception of Illyana, in the past year. Is this a dark recurring hidden chracter trait? Does she sort of burn through friendships selfishly? The same could be seen in the way her relationship with Storm fizzled out. In my favour fanfic iteration (sadly on a site long since defunt), the big three; Rachel, Illyana and Doug (daring, sneaky and voice of reason respectively) observe Kitty’s subsequent love-life as sort of a reality TV program and try to make her life a bit better, with well intentioned, but usually comedic results. We did see Kitty react to Doug’s death in Excalibur (Where we see a letter she got from the Ramsey’s thanking her for her condolences and understanding that she couldn’t make it to the funeral (In reality because she was stuck in phased form on Muir Island). We also briefly see Kitty’s reaction to Illyana’s death in a Post-Inferno Excalibur issue where she meets up with the New Mutants for the first time since Doug and Illyana died and blames them for their deaths. Dani uses her new “Make fantasies real” power to conjure up versions of Doug and Illyana who will act just like the real ones “for as long as she wants” which has a LOT of odd implications, but she declines, acknowledging that she needs to move on. This comes rather late, but I believe it had been established from the start that Mirage had the secondary ability of animal empathy. She has a cougar friend in New Mutants #1, and often communicates with Wolfsbane while the latter is in wolf form. 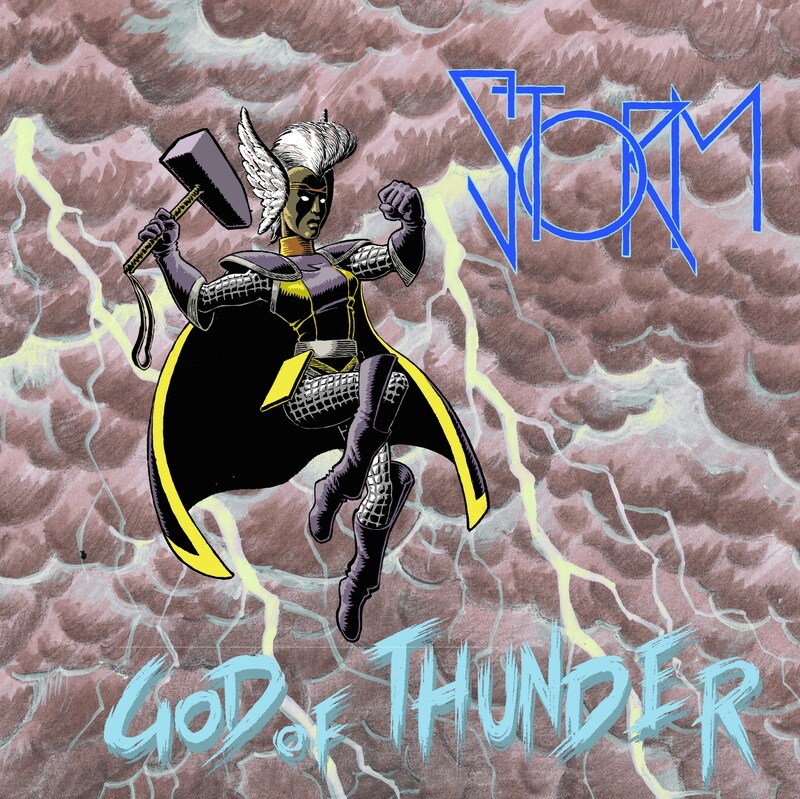 I just came up with a name for Storm with a hammer: Sthorm. I love that the ending of your summary went into how Miles got you into comics Jay. These annuals are actually a couple of the first comics I ever read. I had no idea what was going on really, but I was hooked. 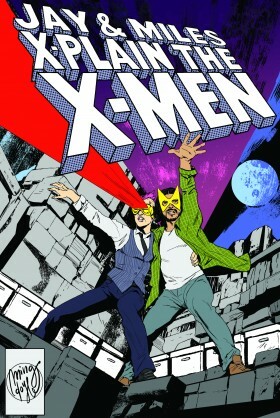 I think I had some familiarity with the X-Men but was amazed to see a book where all the heroes were just white dudes. And like what? Asgard. Sure, let’s do this. I went as far as xeroxing the whole thing before giving it back to the library. I still have it. Anyway, this book totally transformed me into a comic book nerd.